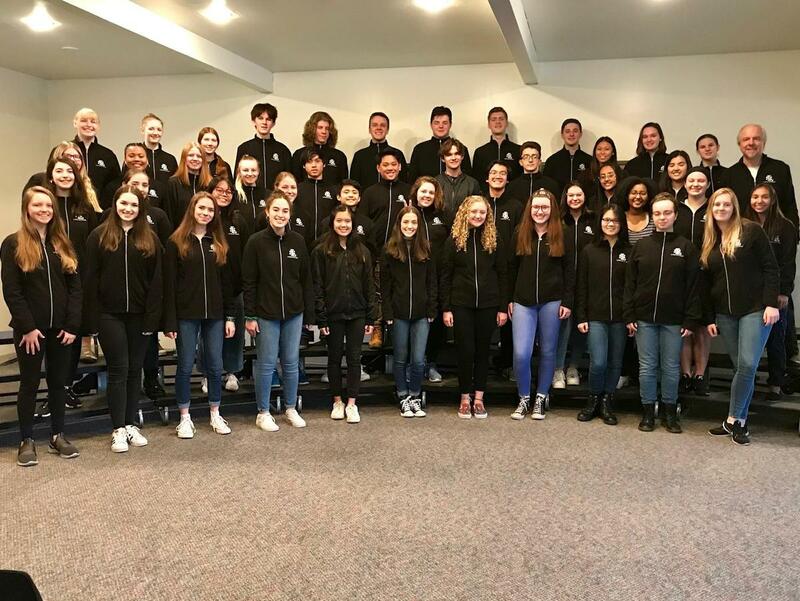 La Salle’s choir qualified for state competition this week while at the Northwest Oregon Conference Choir Festival at St. Helens High. The Falcons needed high scores from at least two judges to qualify; they earned high scores from three judges for their performance. 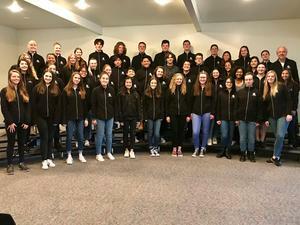 The next step: A video of their performance will be viewed by another panel of judges who will decide which choirs may sing at the state competition in late April at Oregon State University. "We have a great blend of strong voices this year, a balanced and powerful mix of men’s and women’s voices," said director Otto Wild. "These students are dedicated and committed. I love their energy. It’s contagious." The choir performed a range of music, including George Handel's "Sing Unto God," Ralph Manuel's "Alleluia," Moses Hogan's "I'm Gonna Sing 'til the Spirit Moves in My Heart," and the Spanish traditional, "Rui Rui Chiu." James Kelley, Robert Reiss, Aislinn McCarthy, Isadora Colpo, Noah Gorretta, and Emma Foteff all performed solos. "There may be nothing better for the mind, body, and spirit than singing in a group," said Wild. "I believe that fully and have dedicated my life to promoting it."